Gary Wheelock had a rough spring for the brand new Mariners in 1977, but he made the club and even won his first start. He did so by going six innings and giving up a single earned run. "It feels awful good to come out and be able to do this in my first start," Wheelock told reporters afterward. "I was beginning to wonder if I could get anybody out." 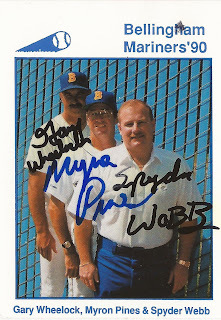 Wheelock went on to pick up five more wins for the Mariners that year, along with nine losses. He saw time in three major league seasons in all. He then went on to a long minor league coaching career and he's also worked to promote the game overseas. Wheelock's career began in 1974, taken by the Angels in the sixth round of the draft out of the University of California-Irvine. Wheelock started with the Angels at single-A Salinas and Quad City. He moved to AAA Salt Lake City for 1975 and 1976. In September 1976, he got his first look at the majors. He got into two games, two innings of work. He gave up six earned runs. 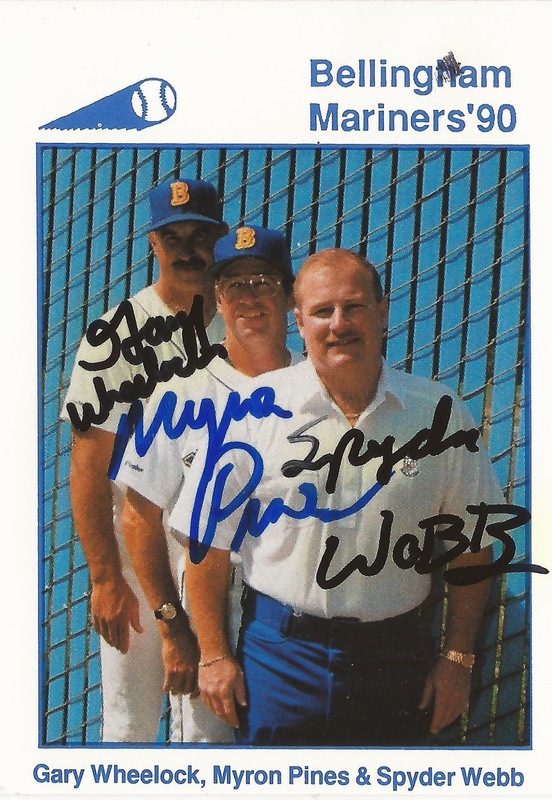 Wheelock then moved to the Mariners in the expansion draft. He got 17 total starts in the inaugural Seattle season. He ended with a 4.89 ERA and that 6-9 record. He spent the next two seasons at AAA San Jose, then returned for one final look at the majors in 1980. He picked up one start and gave up two earned over three innings of work. He saw one more season in the minors to end his playing career. Wheelock spent his first year as a pitching coach in 1987 at AAA Oklahoma City. He moved to the Mariners and short-season Bellingham as pitching coach by 1989. 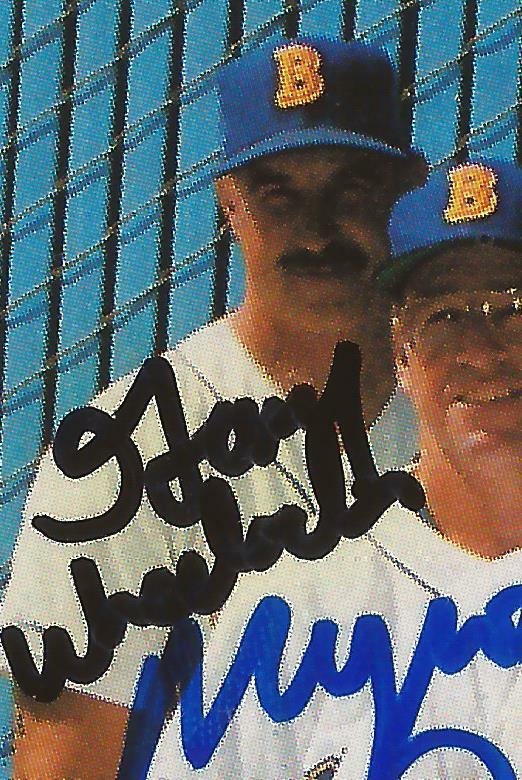 He then served as a coach in the rookie Arizona League and the short-season Northwest League. In 2007, he served as pitching coach at short-season Everett and watched over new seventh-round draft pick Nicholas Hill. Hill eventually made AAA. "He works hard, and he's gotten better since he's been here," Wheelock told MiLB.com. "His changeup is probably his best pitch. It's his strikeout pitch. He's not really overpowering, but he has three good pitches. He keeps his fastball down, and he has a sharp breaking ball." In 2017, Wheelock spent three months in New Zealand to promote the game there. "I am very excited for the opportunity to assist with the further development of baseball in New Zealand and Wellington in particular," Wheelock said upon his arrival, according to Voxy. "I'm looking forward to helping baseball players of all ages, as well as the coaches, improve their skills and knowledge. Baseball is a fun sport and we intend to keep the fun and excitement in the sport as we play and improve."